Over previous annual shutdowns at Lagan Cement, emptying the media, six inch diameter steel balls, from the mill had proved difficult. As the mill rotated the steel balls would fall through the open hatch into the containment area, which was constructed with concrete blocks and plywood. Initially this temporary construction would contain the balls. However, as the mill continued to rotate, the repeated impact on the plywood from the balls reduced its effectiveness. Some balls would escape potentially damaging the hydraulic and water pumps located in the vicinity or their associated pipework. 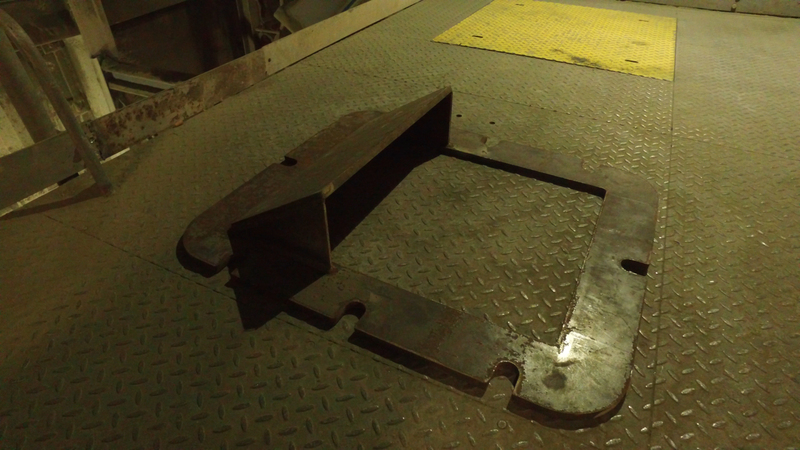 To address this issue, a deflector plate was manufactured and attached to the mill hatch. The deflector ensured that the balls would be guided safely into the containment area and minimised the impact on the plywood wall. The idea proved successful and reduced the spillage normally associated with re charge operations.See attached pdf of images. A safer environment for all.